To the east of Crete’s capital city Heraklion is the coastal town Agios Nikolaos. The name Agios Nikolaos means Saint Nicholas in English, and because of this, it is important to note that the name “Agios Nikolaos” is used frequently across Greece. Occasionally you may see the town spelled as Ayios Nikolaos, a common variation. Sometimes this is done in travel guides to differentiate the beachfront town in Crete from the Agios Nikolaos Monastery on the island of Santorini. 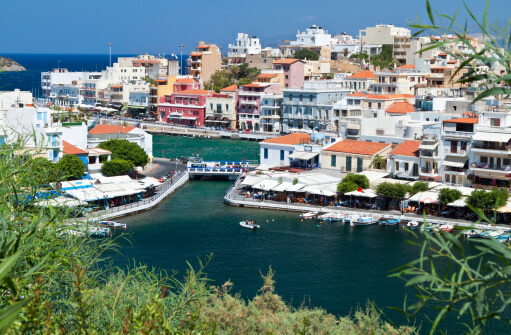 Crete’s Agios Nikolaos is a very popular tourist town often flooded with travelers from island tours and cruise ships. When planning your trip, make sure you are making plans to visit the town in Crete and not one of the other sites in Greece having the same name! 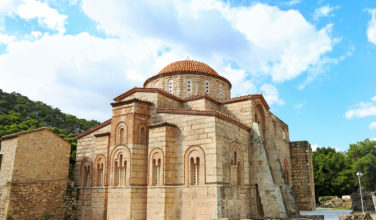 Towards the end of Greece’s Bronze Age, the town was settled by one of the four ancient Greek ethnic groups known as the Dorians. (You may be familiar with the Dorians as they are referenced in Homer’s Odyssey). Over time, Agios Nikolaos became the capital of Lasithi, the easternmost regional unit of Crete. The town served as a transportation hub to the other villages and towns in Lasithi thanks to its location along Mirabello Bay, which is a part of the Sea of Crete. Starting in the 1970s, the quiet village town was “discovered” and quickly developed into a mecca for tourists visiting the island of Crete. Five out of the twelve months of the year, Agios Nikolaos transforms into a resort town as tourists from cruise tours and other packaged vacation tour companies pass through the town. Tourists can visit the town easily by sea compared to by land, as Agios Nikolaos is an hour trip from the capital, Heraklion. Agios Nikolaos does not have its own airport and as a result is serviced by the other airports on the island. The trip from Heraklion International Airport (the primary airport on Crete) takes about an hour by taxi or bus. Travelers also have the option of flying to Sitia Public Airport in Sitia. 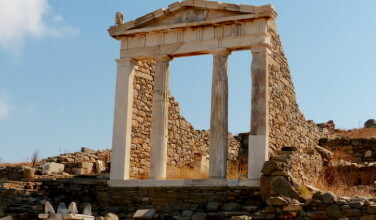 A few airlines make trips from Athens and other points to Sitia. However as Sitia is a smaller airport, there are fewer flights and the trip to Agios Nikolaos is an hour and a half compared to an hour from Heraklion. Taking a taxi to Agios Nikolaos is an option, but with a travel length of an hour or more, it can become a very expensive trip. 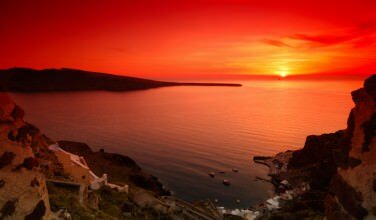 The most economical option is to take the KTEL bus into town from Heraklion and other points in Crete. Additionally you have the option of renting a car, but like many other towns in Crete, parking is very difficult. Once in town, the city is very walkable. In addition to the numerous cruise lines that pass through, there are ships that run from Piraeus port (the largest port in Greece) near Athens to Agios Nikolaos as well as Sitia. 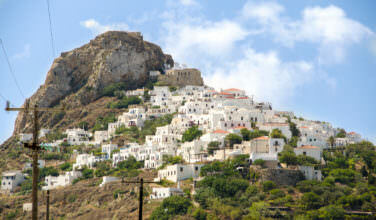 There are also occasional lines that will travel from the other islands including Rhodes and Karpathos. These schedules vary by season (and sometimes by year) so plan ahead.